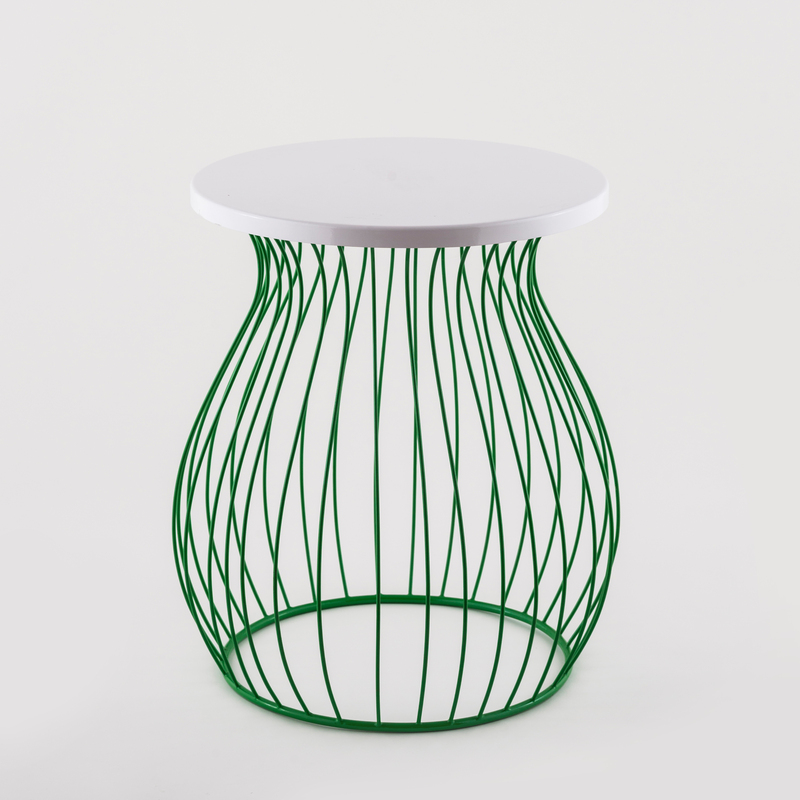 Key Features white and green powde coated handmade wireframe side table. For indoors and outdoors. H - 20", Dia - 16"
white and green powde coated handmade wireframe side table. For indoors and outdoors.